Magnetic resonance velocimetry (MRV) is a versatile flow visualization technique that is used to measure three-component velocity vectors in a 3D space. 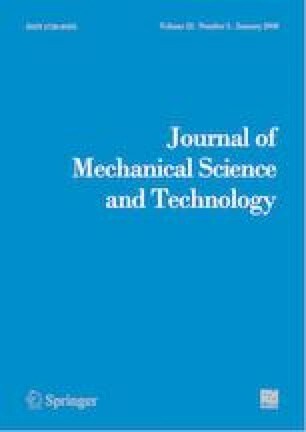 However, the spatial resolution of MRV is relatively poor in comparison with optical flow visualization techniques, thereby limiting its applicability to small-scale flows and wall shear stress (WSS) estimation. Thus, we built a solenoid RF coil and evaluated its performance in terms of spatial resolution improvement by measuring the laminar flow in a circular tubing. The coil was developed for a 4.7 Tesla MRI system and for tightly wrapping a flow tubing with an inner diameter of 2 mm. The custom-made RF coil could precisely capture the velocity vectors in a voxel that was 11 times smaller than a commercial coil at the same SNR. Therefore, the WSS errors estimated using the custom-made and commercial coils were 8.5 % and 42.3 %, respectively. Byungkuen Yang is a Ph.D. candidate at the Department of Mechanical Convergence Engineering in Hanyang University, Seoul, Korea. His research interests are RF coil development for improving the performance of magnetic resonance velocimeter. Jeesoo Lee is a postdoctoral researcher at the Institute of Nano Science and Technology at Hanyang University, Seoul, Korea. He received his Ph.D. degree at Hanyang University in 2017. His research interest is experimental flow visualization using magnetic resonance velocimeter. Jee-Hyun Cho is a Principal Researcher of the Bioimaging Research Team at Korea Basic Science Institute, Ochang, Korea. She received her Ph.D. degree at Chung-Ang University in 2013. Her research interests include MR molecular imaging, intermolecular multiple quantum coherence imaging, and CEST MRI. Simon Song is a Professor at the Department of Mechanical Engineering at Hanyang University, Seoul, Korea. He received his Ph.D. degree at Stanford University in 2002. His research interests include microfluidics, 3D flow visualization, and computational fluid dynamics.